My name is Scott Putnam. Welcome to my way of life! I live, eat and breathe Subaru. In this site you will find everything you ever wanted to know about Subarus (Well, maybe not everything yet) and then some. I hope you find this informative and useful. I am the Fleet Sales Manager at Morrie’s Subaru in Minnetonka, Minnesota and yes, you can buy a car from me. After you’ve read all the great info about Subarus and have decided that you can’t face another day without one, let me know! I can do business anywhere in the U.S. and overseas, and perhaps save you some of your hard earned dollars. Rally and Subaru go hand in hand around here. When you purchase a car from me via subaru.net you help support motorsports, as a large part of my advertising budget goes to supporting rally and enthusiast related activities. I currently sponsor the Ojibwe Forests Rally, am title sponsor for the Headwaters Rally and RallyFest. I have sponsored CPD Racing, Mayhem Racing, Primitive Racing, and Hairpin Racing in addition to the local Rallycross Series. Three to four times a year I hold events at the dealership in support of local enthusiasts. I have been an active fiscal supporter of the rally community since 1997. 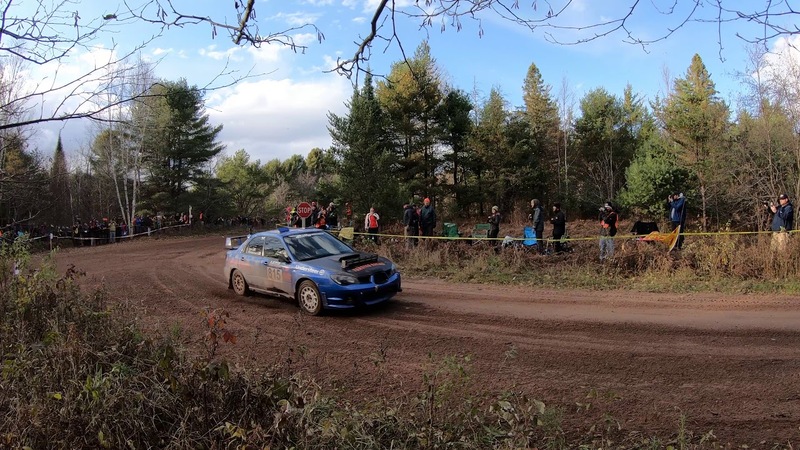 2016: Codriving for Lauchlin O’Sullivan in the Rally America Championship Series in the Super Production Class for Lucas Oil and Morrie’s Subaru. 2013-2014: Codriving for Lauchlin O’Sullivan in the Rally America Championship Series in the Super Production Class for Lucas Oil. 2012: Codriving for Lauchlin O’Sullivan in the Super Production Championship in the Rally America Championship Series for Lucas Oil. 2011: Codriving for Lauchlin O’Sullivan in the Rally America Championship Series in the Super Production Class for Lucas Oil. 2010: Codriving for Lauchlin OSullivan in select events. Single events with Mason Moyle and Ramana Lagemann. 2009: Codriving for Mason Moyle in a Open Lite GC8. 2008: Codriving for Lauchlin O’Sullivan and Jeff Moyle in the Rally America Championship Series. Participating in X Games 14 with Jeff Moyle. 2007: Codrive for Lauchlin O’Sullivan, First half of the year with K&N Engineering, second half of season with Tim Penesack and the Dunkin Donuts Rally Team. 2006: Codrive for Lauchlin O’Sullivan, placing 4th in X Games 12 for K&N Engineering. 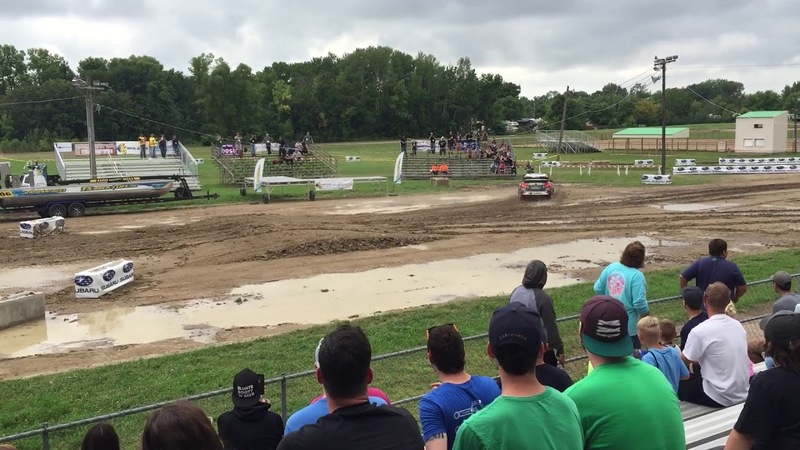 Winning Headwaters and a 3rd place at STPR. 2005: Final run up Pikes Peak, placing 3rd in class with Doug Havir. 2005: Third trip to Japan, Tour Subaru Museum in Ohta. 2004: First race with Lauchlin O’Sullivan in CPD2 produces victory at Ojibwe Forests. 2004: Travel to Finland for training with WRC Ace Jakke Honkannen. 2002: Codrive for Doug Havir, He achieves SCCA ProRally’s Rookie of the Year. Race alongside Subaru USA Rally Team as Prodrive’s sole US customer. First participation in the Pikes Peak International Hill Climb. 2001: Start Rally Career codriving for Doug Havir at Wild West. 2001: Second Trip to Japan, Attend Tokyo Auto Show. 1998: First Trip to Japan. Tour Factory in Ohta. 1997: Start rally sponsorships with Hairpin Racing and Paul Eklund. 1996: www.subaru.net goes live, selling first car online (Taupe LSI Sedan) to gentleman in Kentucky. 1995: First SIA factory tour in Lafayette, IN. Visits follow in 1997 and 2000. 1991: Take SVX up to Ojibwe Forests Rally, promptly hooked.